As the birthplace of San Diego and California, it's the history, heritage and culture that attracts so many tourists and vacationers to Old Town San Diego, CA. Three agencies operate parks,museums and historic buildings in the Old Town area. 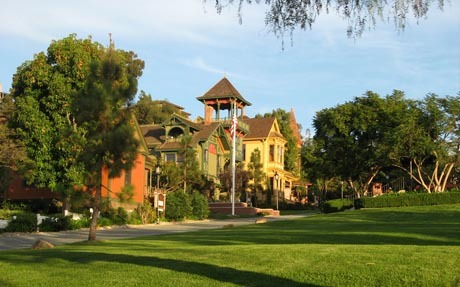 The State of California operates Old Town San Diego Historic Park, which is the most visited park in the state park system. The best part is that all of its museums in the park are Free. Tourists can experience the days of the Dons at 1825 Casa de Estudillo. It is one of the finest old adobe haciendas in California. See the a rare original stagecoach at the Wells Fargo Museum. Also view the Black Hawk Livery and Blacksmith and Mason Street School, the first public school in San Diego. Following are most of the historic sites and buildings in Old Town. See the Old Town Layout Map for specific locations of the sites.